I've long been a critic of restaurants that levy a service charge on their customers. 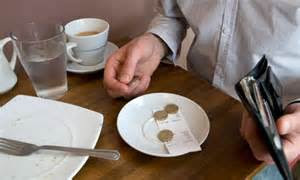 While I am happy to give a tip, providing the service meets my expectations, as for a 'discretionary' service charges - unless you are happy to take the embarrassment of asking for it to be removed, which many people are not, then it's an insult to the customer, who can decide themselves whether to reward the service. So it is refreshing to hear of one hotel which has banned customers from giving tips in a move its owners hope will set a trend. 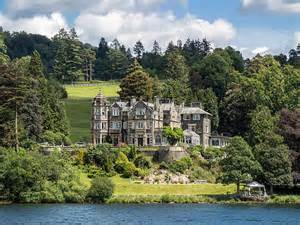 Staff at the Langdale Chase Hotel in Windermere in Cumbria (above), which has a bar and a restaurant, are paid the national minimum wage or higher, but are also provided with accommodation and food for a small daily cost. The managing director of the establishment is reported to have said that places should not be inflicting a service charge on their bill as these are supposed to be discretionary. He says that the customer has chosen to use the establishment over others and shouldn't they be giving them the service charge for their loyalty in using their facility, and enticing them to return? I wholeheartedly agree, Mr Noblett! The problem seems to be that the more you spend at a restaurant or bar, the more you are charged for service. But a plate of expensive food or a good bottle of wine involves no more workload or effort from the service personnel than a lesser plate or bottle of house wine. And what if you just have a jug of tap water, that still requires the same level of service. The service is exactly the same whether your bill is £100 or £200, yet if the service charge is 15 per cent, you pay £15 more for the £200 meal than the £100 meal. That's ludicrous! The Langdale has decided that if customers ask to leave a tip it will not be accepted. And I say, 'well done'. I hope other establishments will follow their example. Readers can help by telling their regular eating places about this 'new trend'.